Chen Chang Xing or Ch’en Chang Hsing (1771–1853) was a 14th generation descendant and 6th generation master of the Chen Family and was an influential martial artist and teacher of Taijiquan (T’ai Chi Ch’uan). Chen Chang Xing is a slightly mysterious character and much controversy surrounds him. He is most known as the teacher of the great Taijiquan master Yang Lu Chan, but there is much disagreement over which style of martial art Chen Chang Xing actually taught to the family outsider. Some schools of thought suggest that Chen Chang Xing was a maverick who practiced and taught a style of martial art that was not part of the Chen Family martial arts tradition, and that was passed to him either directly or indirectly from a Taijiquan master known as Jiang Fa. Other schools of thought suggest that Chen Chang Xing re-worked two or more of the traditional Chen Family routines into his own style and then taught it to Yang Lu Chan and others. Both schools successfully explain why the Taijiquan that Yang Lu Chan’s descendants now practice is substantially different from the modern Chen routines, but neither theory can be completely substantiated and thus much controversy remains. Chen Chang Xing is said to have been of an irreverent character and was given the nickname “Mr Ancestral Tablet” due to the directness of his posture. In the “The Genealogy of the Chen Family” he is noted as a martial arts instructor, but the detail of the style he taught is not present. Two widely documented theories of Chen’s martial arts work exist: the first is that he learnt his arts from Wang Zongyue and the Wudangquan|Wudang tradition developed by Zhang San Feng. The second theory — the one accepted by the Chen family, and supported by historical evidence. Ignorance, Legend and Taijiquan. Journal of the Chen Style Taijiquan Research Association of Hawaii is that he combined his previous military experience and the theories of Jingluo and Daoyin with the popular teachings of Qi Jiguang. Chen Taiji 38 Form and Applications. His complete work contained five smaller sets of forms, a 108-move Long Fist routine, and a Chen-style T’ai Chi Ch’uan Cannon Fist routine. Chen is also credited with the invention of the first push hands exercises. Chen also practiced a few Shaolin forms, and some historians postulate that Shaolin Monastery Shaolin arts also had a significant influence on his T’ai Chi, though none of the Taoist influences on Chen family T’ai Chi exist in the Shaolin tradition. 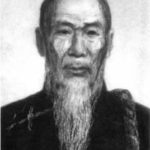 The successor was the 14th generation Chen Chang Xing (1771–1853), who was the direct teacher of the founder of Yang-style Tai Chi Chuan: Yang Lu Chan.